Join their mailing list and you will be the first to know about their latest coupons, styles, seasonal updates, store openings and more for Coach Factory stores. You will also receive a 10% coupon for in store use within 7 days. Print the whole page and get up to 70% off in Coach Factory stores located in Tanger Outlet Centers. USA Residents. Print coupon and get 50% off everything, can not be used in with other coupons. If you are Canadian use this coupon. Note: Coupon above is valid at Coach Factory Stores in Tanger Outlet Centers. It may work in other coach factory stores in other malls. - Spend $300 save an extra 25%. Receive a monogrammable hangtag with your coach handbag purchase of $149 or more. Valid at coach factory and outlet stores. Print or show on mobile phone. Valid at coach factory stores in Tanger Outlets. Enjoy a 25% discount or 30% off your purchase of $495 or more at Coach stores. Get the best gifts for Mother's Day. Simply print this page to use in any Coach full-price store. Enjoy a 50% discount on merchandise storewide plus an extra 30% off clearance items. Valid at a Coach Outlet near you. Print coupon for a $100 discount on your $300 or more purchase in-store. Simply print page to use in any Coach full-price store. 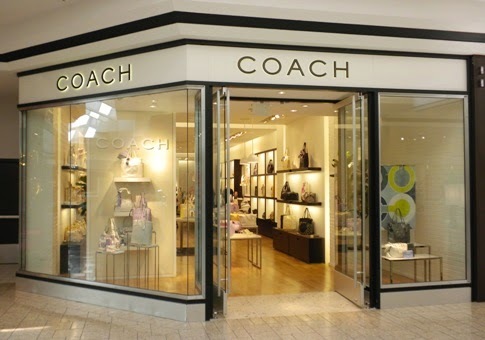 Coach stores have a wide variety of women's designer handbags, wallets, shoes and jewelry.